Through drawing, we can see things that are otherwise invisible, and David Lynch as Gordan Cole literally draws us a picture in The Return! I want to take a deep look at his drawing and two others—Mr. C’s and Dougie’s—and I’ll use art theorists Gerald Vizenor and John Berger, a Native and a non-Native American, to help situate these drawings within the context of their sources, within the larger history of art, and within an appreciation of drawing’s inherent magic powers. Some of us like to imagine Twin Peaks as a brilliant parody and an epic poem, filled with perhaps what Anishinaabe media theorist Gerald Vizenor calls “tropes of transmotion with a sense of survivance over victimry.” Vizenor uses his term transmotion to describe a “spirited quality of motion” found specifically in Native American literature and drawings, and considering how much Lynch and Frost riff on Native American cultures, we might find transmotion in the stories and drawings of Twin Peaks. I also suspect we’ll find some extraordinary temporalities, or what Berger calls “tenses,” in these drawings. 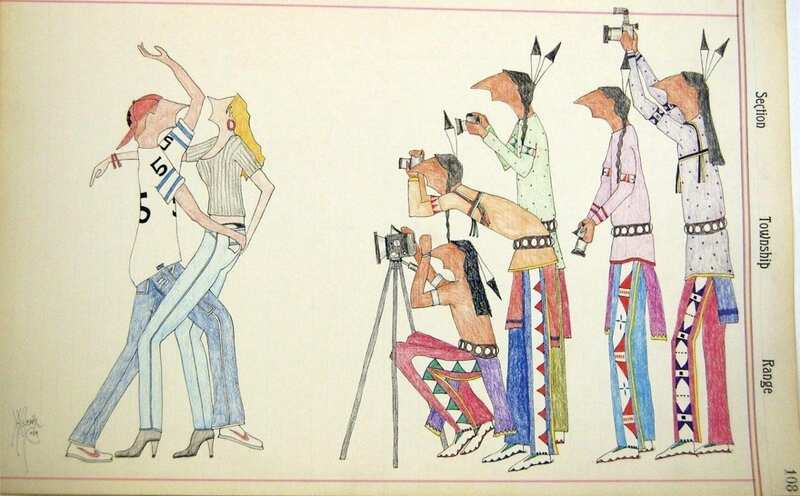 Some drawings contain all three tenses at once, which triggers a new temporal dimension, a new level of communication, a fourth tense—maybe similar to the “fourth person” or “fourth voice” Vizenor describes appearing in Native American stories and drawings that contain transmotion. 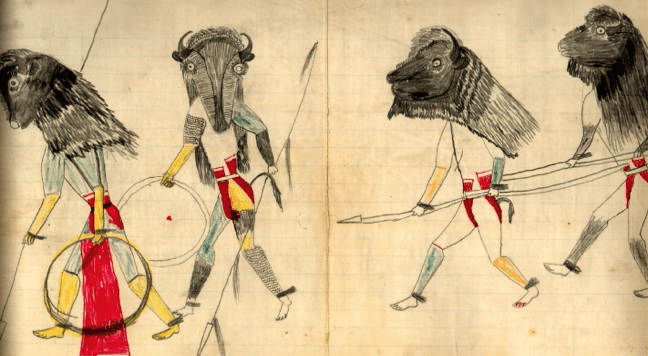 Transmotion specifically comes up while discussing traumatized Indian warriors and their dream drawings made at the end of the 19th century. 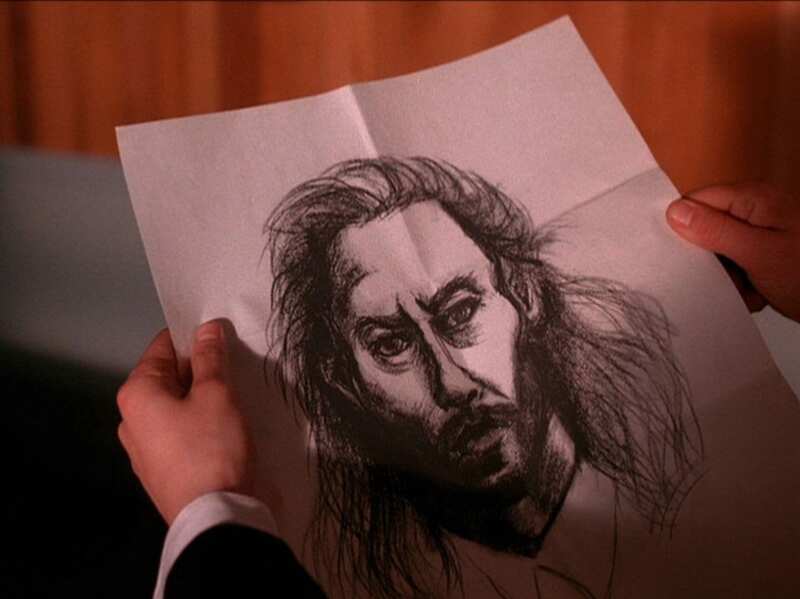 Let’s view some of these drawings next to the drawings made in Twin Peaks and see what happens. Here is Mr. C’s Destroyer drawn like a clown on an ace of spades. Is this a new Owl Cave symbol? A portrait of the frug? BOB’s dream of his mother? An object Lynch just found at a cafe in Death Vally? A silhouette of Laura Palmer? A Rorschach test? A mutated Kokopelli? 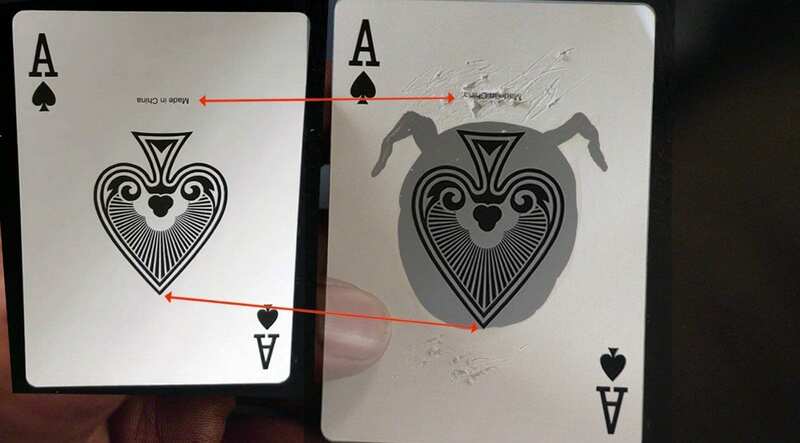 He carefully covered the entire spade except for maybe the tiny point at the bottom. “Made in China” is semi-successfully scratched out: drawing can be an act of removing, destroying, erasing (see Postcommodity’s 2015 Repellant Fence). The “A” recalls Alpha, the Beginning, but also tiny text. 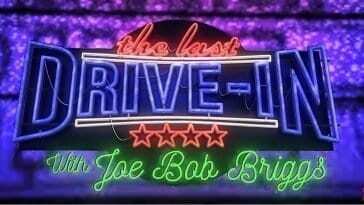 BOB is with Mr. C right now, and we know BOB loves tiny text (or was that Leland’s thing?). This may be a three-way collaboration: the scratches could be from the drugged-out mother. We saw an open safety-pin and a deck of cards on her table. Is she another one of Mr. C’s spies? Is she a tulpa? A lodge entity? 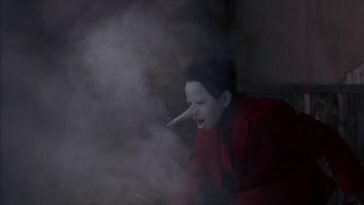 She sort of spoke backward, and appears to have, according to Frost, “one foot in another world.” Was she an early attempt at a family for Dougie? Were the drugs found in Mr. C’s car for her? We don’t know. It’s left totally blank, blacked-out like this creature’s face, or like a portrait sculpted by Brancusi (who, like David Lynch and Dale Cooper, practiced a form of Tibetan Buddhism). 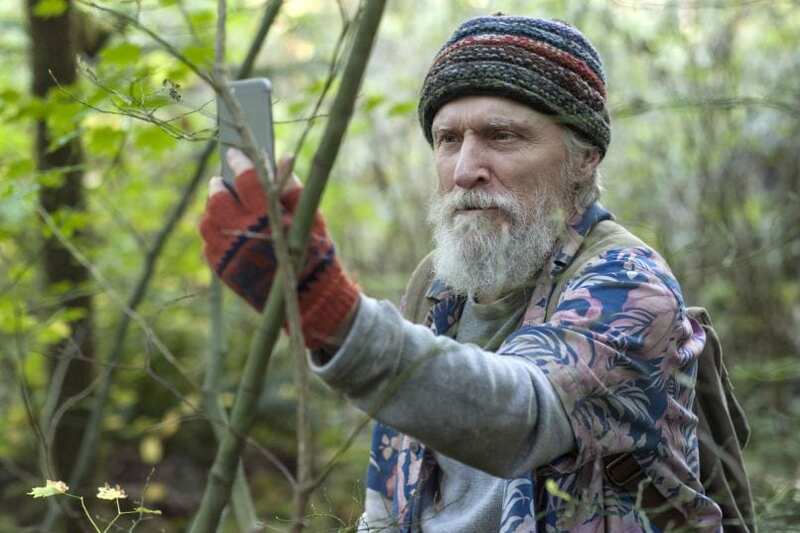 So much of Twin Peaks feels edited out, and that’s one reason it’s so good. 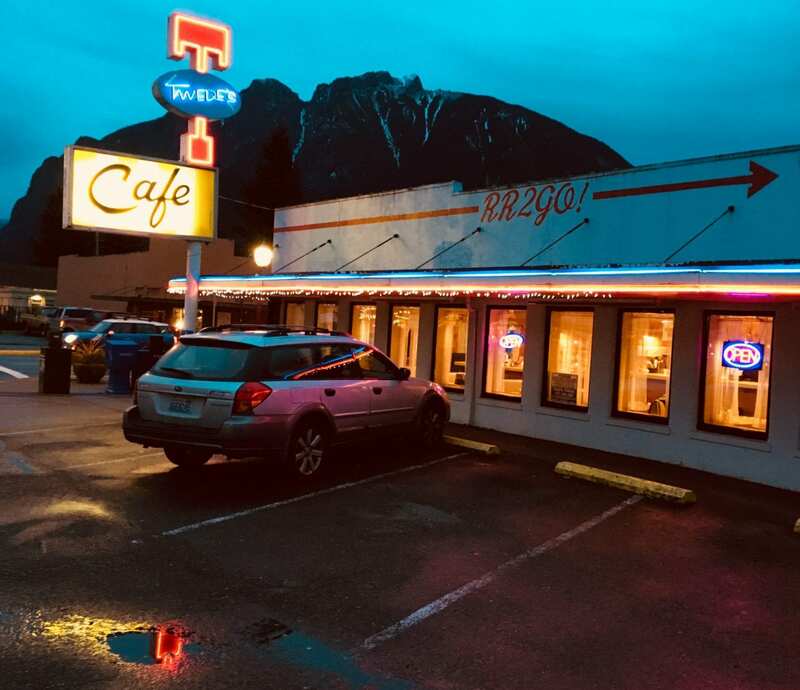 Like a 4-D Kanizsa triangle, the openings Lynch and Frost leave in Twin Peaks evoke phantoms, illusory contours, subjective edges, gestalt reification, and the viewer gets to complete the story with their own miraculous, bright, and radiant dreaming minds.  Here is the Kanizsa triangle, an optical illusion often discussed in drawing and design classes. Notice the illusory figure appears brighter than the background. 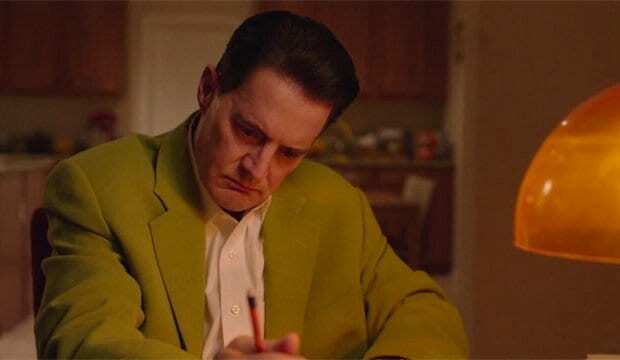 By leaving the story open, Lynch and Frost induce a special kind of brightness in us. The “phantom edge phenomena”—seeing information that is not actually there—might happen because the brain has been trained to view the break in lines as an object that could pose a potential threat. With the lack of additional information, the brain errs on the side of safety and perceives the space as a relevant object. 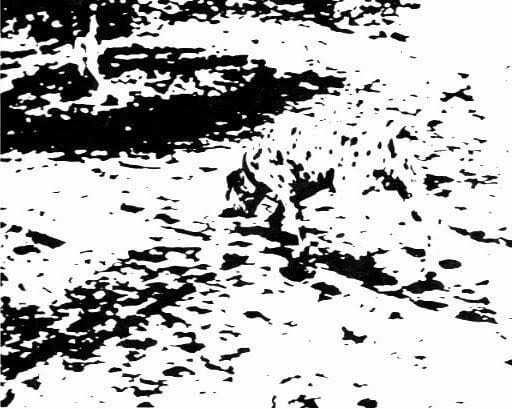 This illusion is an example of the constructive or generative aspect of perception. 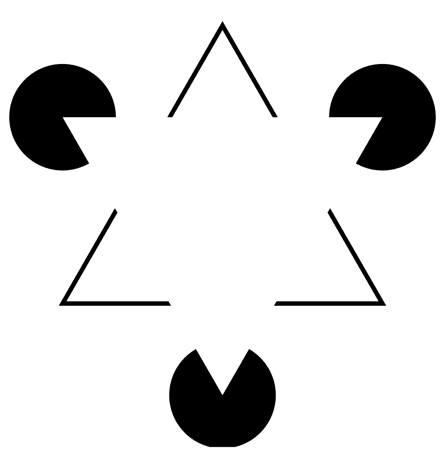 For a deep look at reification and “closure,” see Finding Out About Filling-In: A guide to perceptual completion for visual science and the philosophy of perception by Evan Thompson (William Irwin Thompson’s son! ), Luiz Pessoa, and Alva Noë, who also wrote Out of Our Heads: Why You Are Not Your Brain, and Other Lessons from the Biology of Consciousness. The opposite of “filling in” is the Troxler Effect of “fading out,” and it’s equally metaphoric. If the vague information we perceive remains unchanged for too long, it disappears. 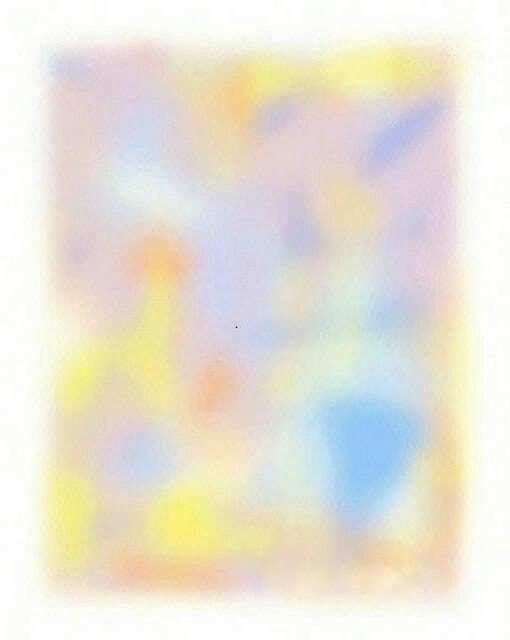 Every color will disappear in this optical illusion if you stare long enough—about 5 deep breaths while looking at the dot should do it. Animals draw. The scratches on Mr. C’s card point to Drugged-out mother, but also to bird scratches (Waldo! ), the scratches found on Laura, and, behind all these, to cave bear scratches found on the shadowy walls at the edge of history. 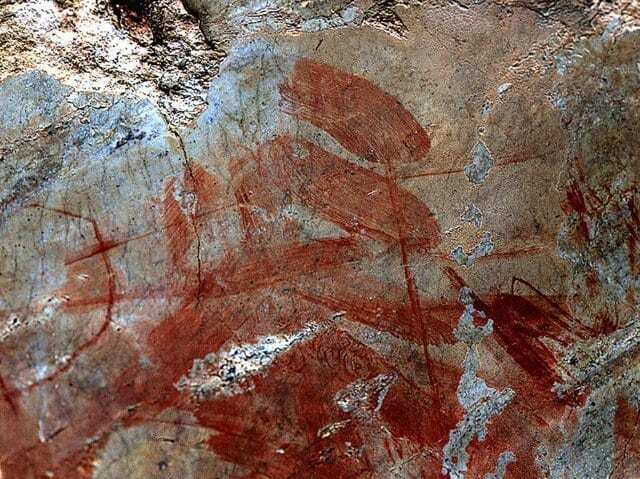 We see evidence of human-made scratches on top of bear scratches in Werner Herzog’s film Cave of Forgotten Dreams (2011). Did the bears teach us to draw? Did the birds teach us to sing? Unknown Lakota artist, c. 1880. 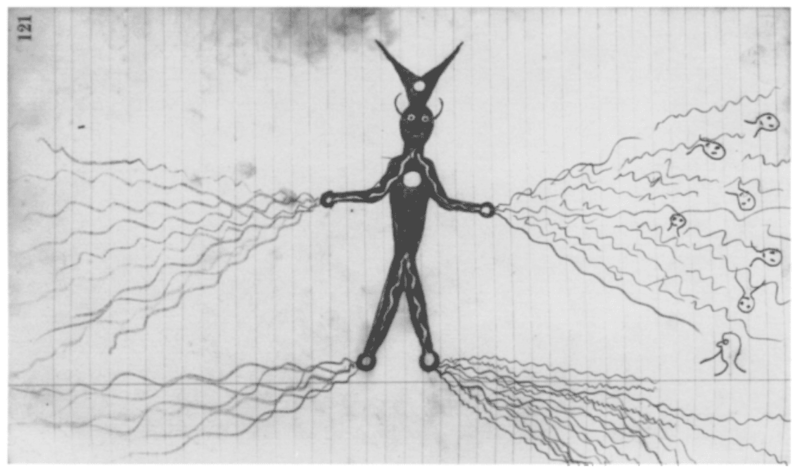 Plains Indian warriors often dreamt of “horses with horns.” Here we see lines of electricity radiate from the spirit’s hands and feet. 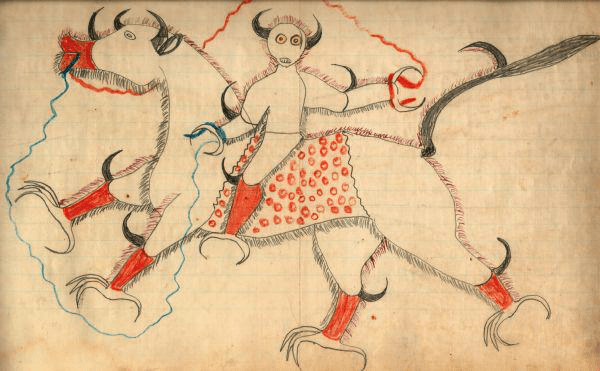 Other beings come out of the left hand’s effluvium like creamed corn or BOB in a mother’s vomit (see Janet Catherine Berlo’s “Spirit Horses and Thunder Beings: Plains Indian Dream Drawings”). There is violence and blood surrounding the appearance of ledger drawings and the appearance of Mr. C’s drawing in The Return. We see this card right before he mercilessly blows Daria’s brains out, and then we watch a hammered Sarah Palmer in her disgusting living room watch footage of lions mercilessly killing a buffalo. But wait, we were dancing and singing and speaking in pictures before we could draw them, right? Maybe not. Infants, before they can speak, know how to draw. Scribbling may be a necessary step into language and symbolic thought; it’s a protolanguage, ursprache, a “neurobiological impulse.” Scribbling may be the basis for all human notational systems upon which self-reflection, or self-organization, depend (see the scribbles hypothesis). It’s a momentous leap, picking up that stick or rock, making a line, or purposefully filling something in. It’s about transformation and impermanence, but it’s also about creating something that stays: a trace, a signature, a scratch. There is identity magic in it. Mr. C’s dream drawing in Part 2: The Stars Turn And A Time Presents Itself is a trip across 70,000 years of art history, from scratches to ink blots to digital print. 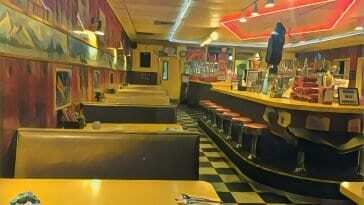 It’s also a trip across 25 years of Twin Peaks. 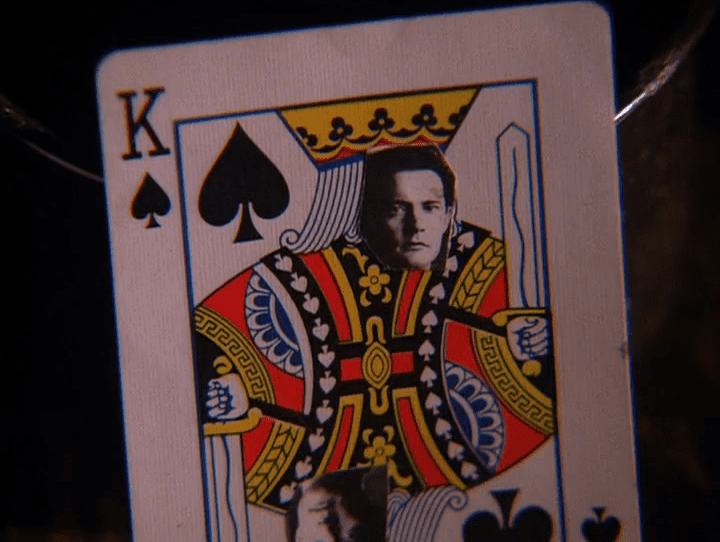 The last time we saw an altered playing card like this was at the end of Season Two. 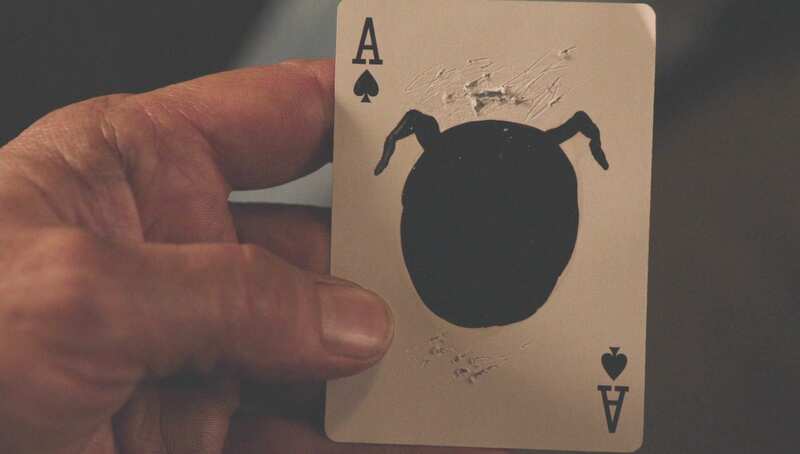 Pulling a card, a spade, from his jacket pocket at the opening of Season 3 may be Mr. C’s way of saying, “Btw, I’m the new Windom Earle.” Maybe he and BOB lifted Earle’s pack in the Waiting Room. 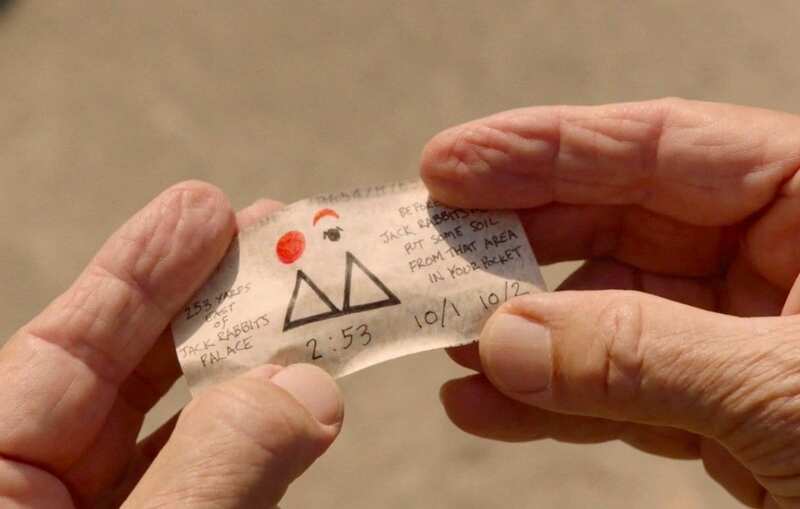 I think it’s safe to say that the owl-cave/owl-ring symbol in Mr. C’s drawing is no longer just an owl: it’s the mother, the Experiment, Judy, Laura, what BOB, Mr. C, and Cooper “want.” What tense is it? Was it drawn from a direct experience he had, perhaps after taking sparkle with drugged-out mom? Or is this an idea, a vision he has of what the entity Judy could look like, should look like? Or is it Berger’s third type of drawing, drawn from memory? In which case it’s probably BOB’s memory of his mother, or of Laura. 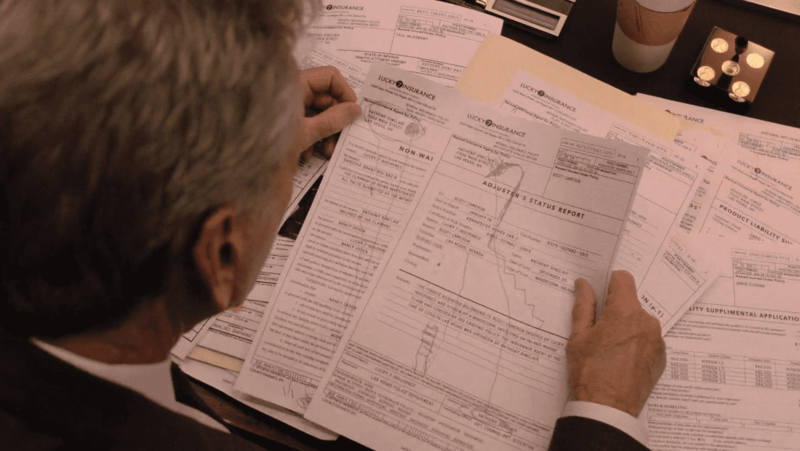 “This is what I want.” When we get confused about Mr. C’s motivations, we should remember that he may be serving BOB, and that he is also an aspect of Dale Cooper. The Experiment is a digital drawing of the actress Erica Eynon. Is this David Lynch’s projected shadow? His daemon? His haokah? Top: Another haokah drawing on ledger paper by Black Hawk , c. 1880. Note the electricity, teeth, yellow eyes, and transparency. It looks like Deputy Director Gordon Cole is having a little drawing session. He’s got a glass of wine, a black marker, bug detector, and a few sheets of white paper clipped together. He wants to keep the stack together, but look: we see the corner of a torn page, or pages. Strange, but also suggestive—remaining corners indicate missing pieces. Is this his second or third attempt at something? 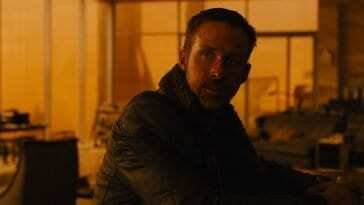 Is he remote viewing? It’s significant that this drawing happens right before Cole is visited by one of Lynch’s best scenes from FWWM—when Laura completely breaks down on Donna’s doorstep. This is also when he/we hear Sarah’s distant voice calling out “Laura” from the pilot. She is crying and laughing at the same time. Gordon Cole never saw that breakdown, nor heard Sarah Palmer’s voice in the pilot, so in this moment he is, what, transported into Donna’s body, seeing Laura from her perspective? We get a reminder of the missing Donna. 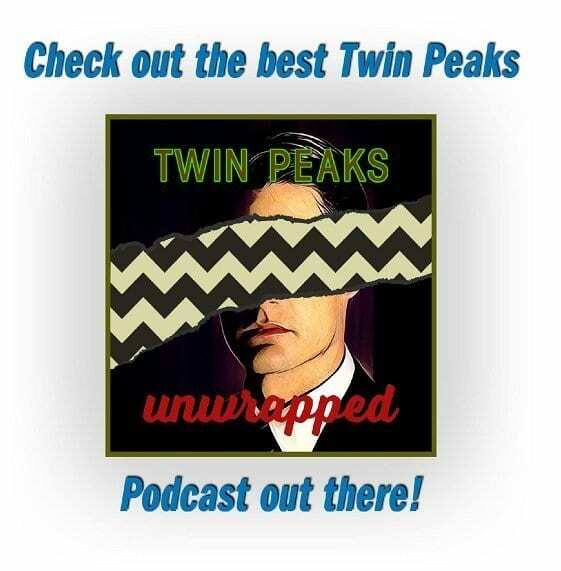 Cole is also transported into our experience, for we both receive, without warning, a prophetic vision and audio hallucination from David Lynch himself. Sarah Palmer’s voice from the pilot alongside Laura’s confused and suffering face will appear again—at the very end of Part 18. A “Vaudville Hook,” a giant shepherd’s crook, reaches out to pull the unsuspecting performer off the stage, without warning (like death). 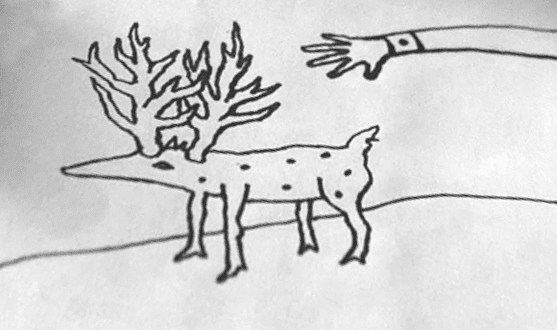 In Cole’s drawing, the hand is reaching for the antlers, but then perhaps it remembers that antlers are cumbersome and a waste of energy. They are like rapidly growing tumors that feed off the poor animal’s body, all in the service of sexual selection. 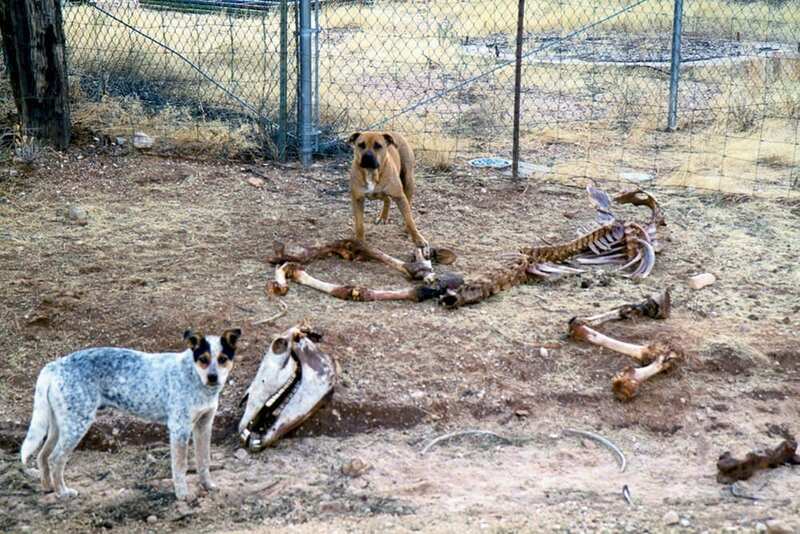 Deer gladly shed them after the velvet dies. Maybe the Fireman, or maybe Gordan Cole, wants the deer antler velvet—a performance-enhancing supplement, which is a symbol for something else empowering (see Doping with Deer Antlers). 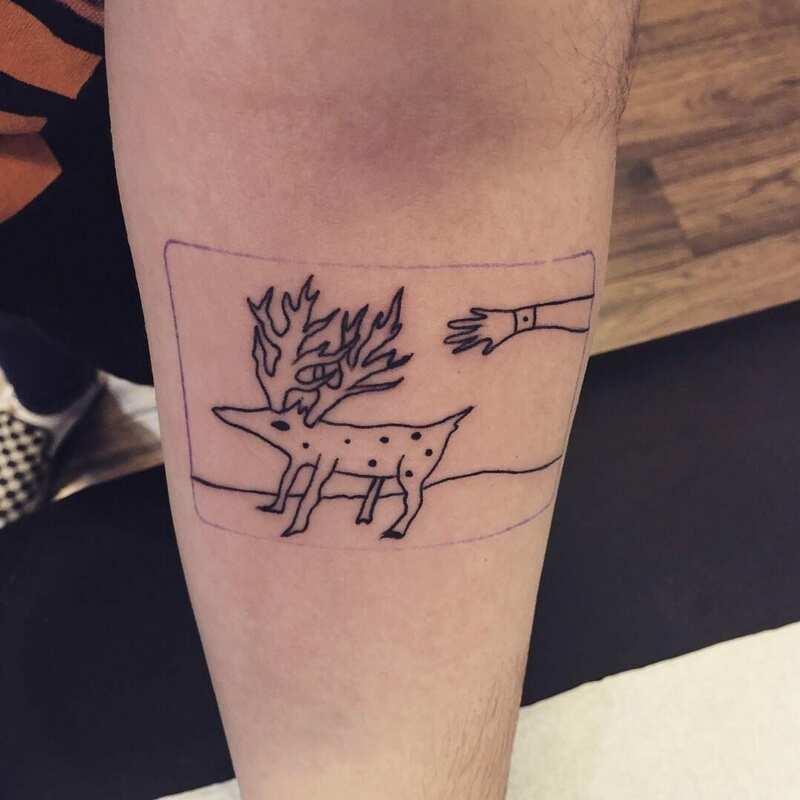 Cole’s stylized antlers look like roots, trees, fire, and lightning. We see an arm, the Giant’s maybe? The Arm?!? 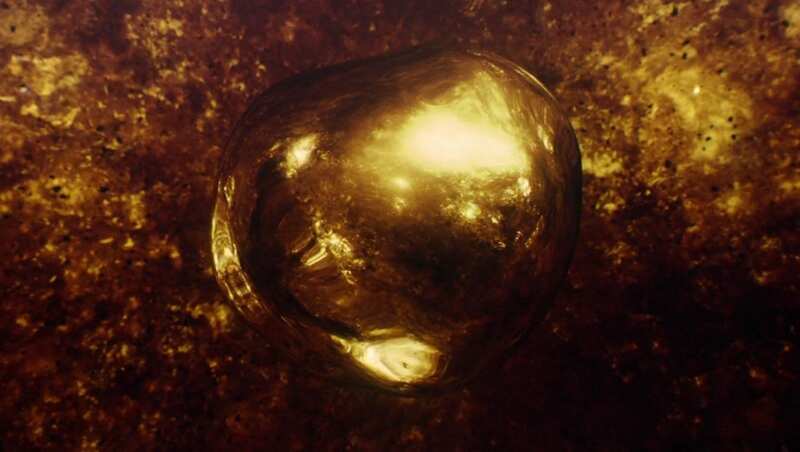 It’s another symbol of loss. We see the Evolution of the Arm in those branchy antlers—twins growing from a hybrid entity with spots. Is it a four-legged log? The antlers look like roots, while the feet look like high heel shoes, like Audrey, Tammy, like the French prostitute, but also like Black Hawk’s spotted eagle-horse destroyer. Perhaps they are owl talons. The creature’s spots are dark eyes that beg to be connected. The right antler is in front of the left, which is physically impossible, unless it’s looking in the other direction and what we thought was its snout is an ear or large growth coming out of its head. But no, it’s more likely just an intentional strangeness, like one of M. C. Escher’s impossible objects. It could have also just been an honest mistake/message from the chaos gods. Cole’s drawing may have been rehearsed—we only see him put the finishing touch on the hand before there is a knock at the door. Maybe he was using drawing magic to “reach” into the future. 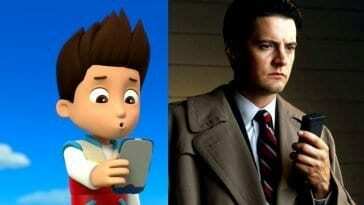 We know Cooper used esoteric practices for divining answers. We also know cultures all over the world use drawing magic to, if not foresee the future, then to affect it. 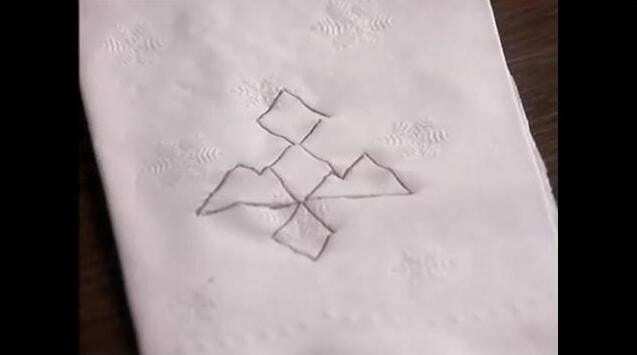 This analysis argues that Cole’s drawing foresees/initiates Andy’s meeting with the Fireman—the tail points to Andy, the spots point to Lucy, and the dots and trees connect to the Bookhouse Boys symbol. Is Cole practicing a kind of sigil magic? 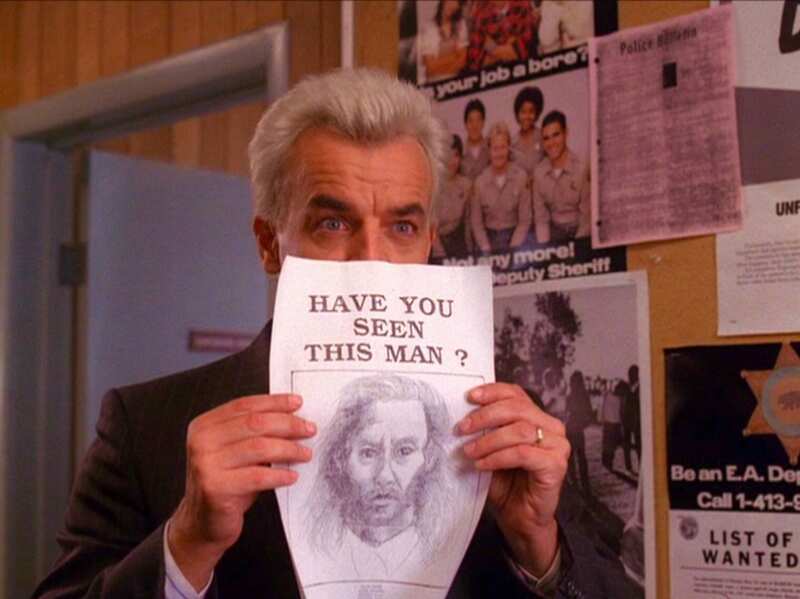 Is Lynch? 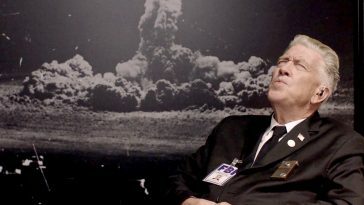 Lynch does like to think with his hands. 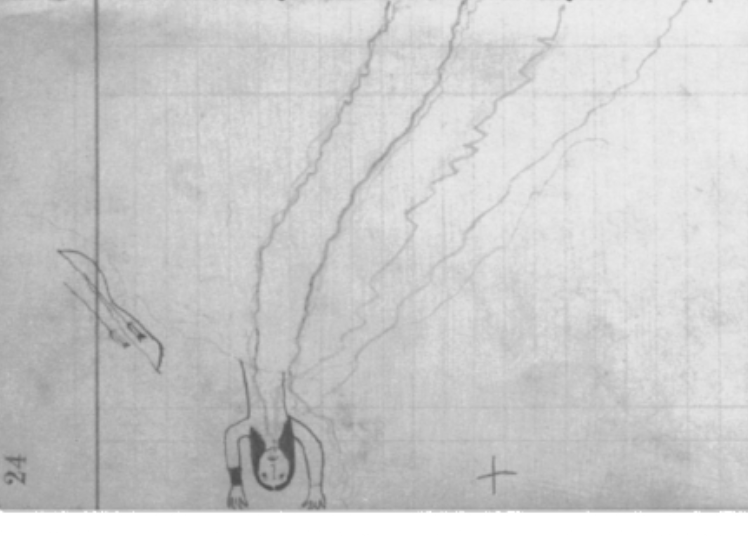 Maybe this is a coded drawing of an unseen aspect of Part 18. It’s The Fireman’s final move against Judy. When the hand touches the antlers, all the lights go out. Then, like in a video game, we return to the red room—back to starting positions, back to mute and slow-motion re-enactments. 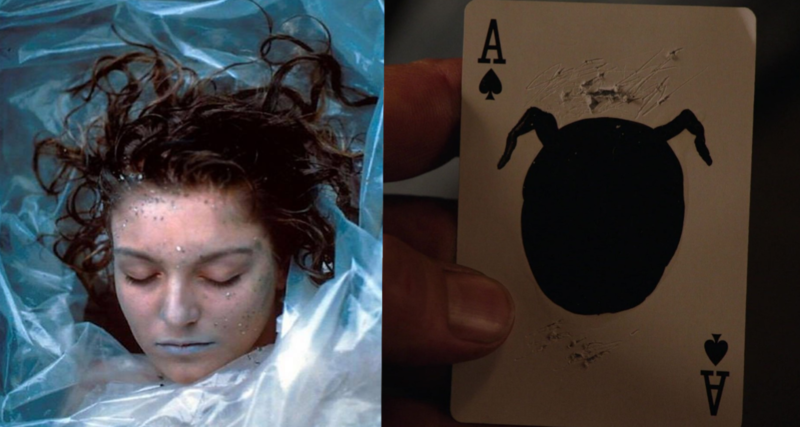 A copy of a copy of a copy, Lynch literally just used YouTube footage of Cooper’s dream from 1991 to stage the reenactment in 2016—to stage the final image in The Return. 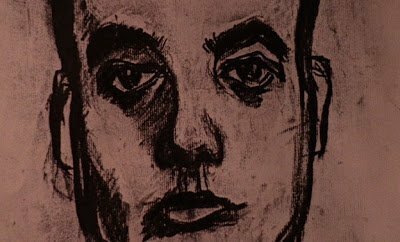 So much of drawing, and of Twin Peaks, is the result of something subconscious. 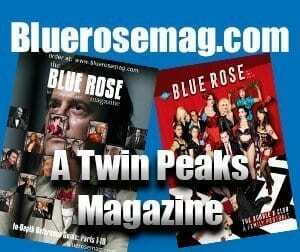 The story behind the pilot is a great example: Lynch and Frost say even they didn’t know who killed Laura Palmer until writing episode three, but after watching the pilot you can tell it was always Leland. 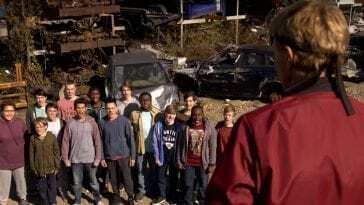 BOB was there in the pilot, too, remember? A happy accident—the stagehand caught in a mirror behind Sarah’s perfect scream marking the end of the first Twin Peaks film. 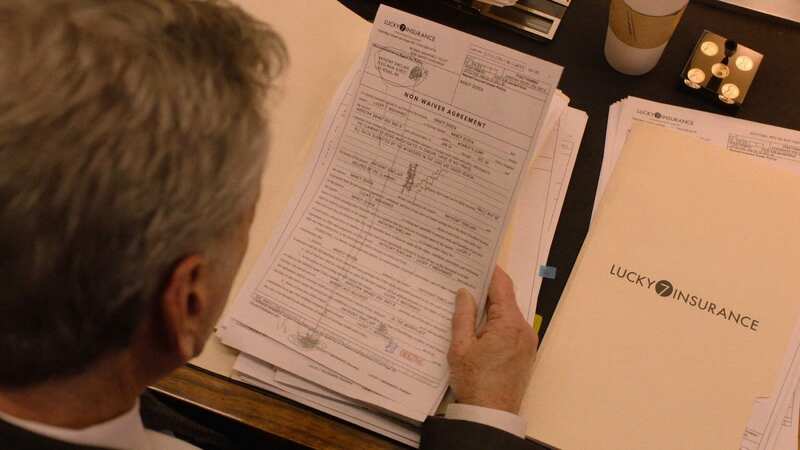 Lynch loved it so much he wrote BOB into the story. 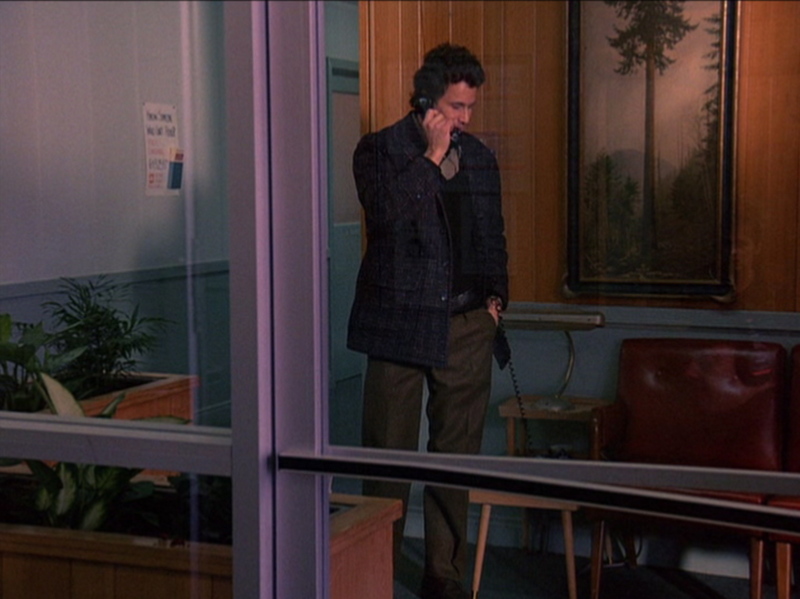 Lynch’s reflection is also caught in the pilot, perhaps foreseeing Gordon Cole, the Dreamer. It’s like they learned from the pilot what to do next, which is a really fun way to work and to draw. 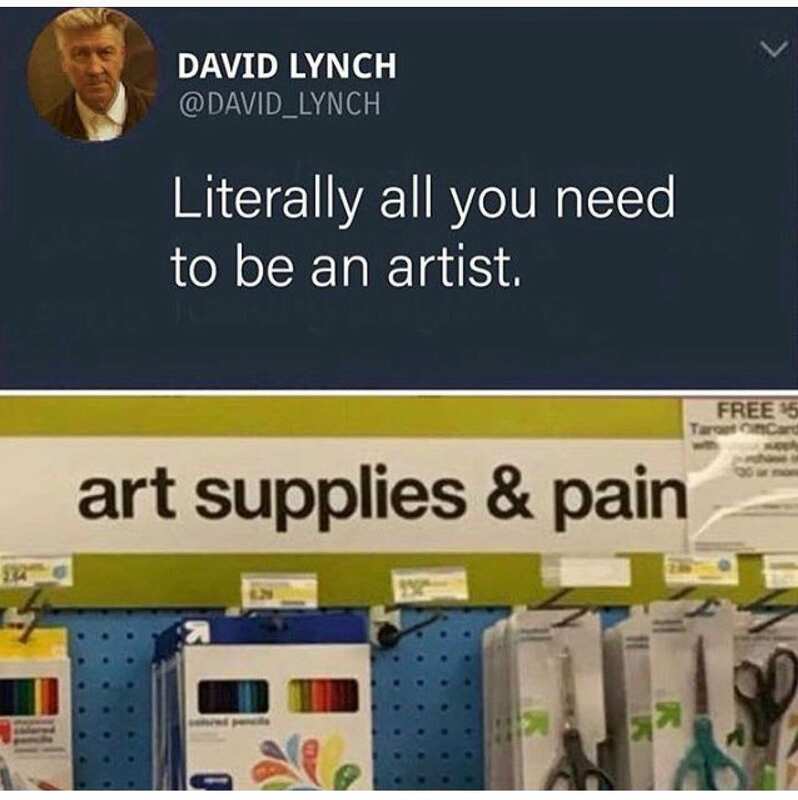 Lynch often says, “If you already know exactly what will happen, then what’s the fun in making it?” Art making encourage improvisation and Whitehead’s “creative advance into novelty.” And if we listen, the art will tell us things, tell us what to do next, tell us what to think about next. 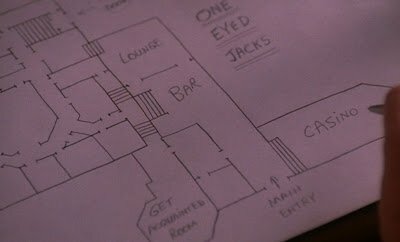 Maybe Lynch will use his drawing made in Season Three to figure out what to do in Season Four, and we will look back at all this anew. Notice that the antlers have nine and ten points. Bottom: Buffalo Dance by Black Hawk, c 1880. According to Vizenor, transmotion is “unmissable” in native stories, as unmissable as regular motion—a hand moves, a curtain waves, birds fly, men dance; and while these examples of regular motion touch our ordinary senses and our ordinary minds, transmotion goes beyond the waking senses altogether; to emotions and cosmic gestures; to ancestral memories and animal totems; to ceremonial dances; to motions plugged into currents beyond the individual’s body. There are five major branches on The Evolution Of The Arm and on the antlers in Cole’s visionary drawing. 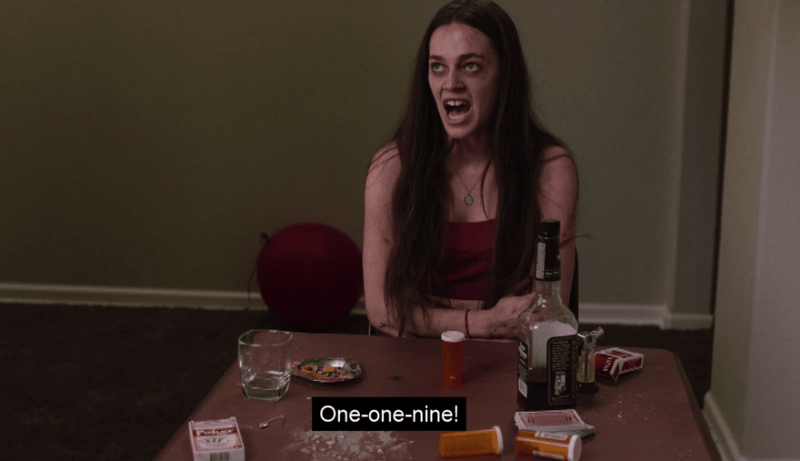 I am reminded how the white horse in Twin Peaks leaps off the screen and into the new poem, and then back down into Sarah’s dream, into the Palmer house, into Jumping Man, and into the woodsman walking into the dark desert of New Mexico. Is he, the homeless, black, smoking Abraham Lincoln, also the white horse? Or is he the creature’s dream who lives inside of Sarah? The horse’s sound, like the scream, is a color Lynch likes to use to paint his picture of America. Artist B, Kiowa, 1880, from the Julian Scott Ledger, 7.5 × 12 inches. Interestingly, the action in ledger drawings generally moves from right to left. Here is a group-induced memory of a delegation of high-ranking Kiowa men who visited a government agent at Fort Sill in 1870. The first figure, carrying a decorated otter-skin bag, has a distinct painting of a bison head on his chin. A figure near the center is wearing what appears to be a military dress coat with a saber and scabbard at his hip. He and three other members of the group hold eagle feather fans. Sometimes fans are magical devices used by shamans to scoop up souls and place them back into bodies. Sometimes they are used along with smoke and dance to heal sick children. Ledger drawings were story-telling devices, and some were kept secret and safe, like a diary. They have a subversive history of also being associated with scripture and public records kept at a church or courthouse. 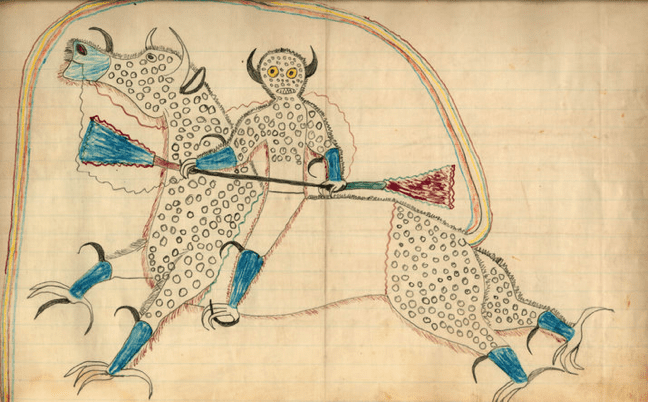 Native prisoners of war overwrote the ‘official’ records with their own visionary dream drawings. We can all draw. Babies, without direction, pick up crayons and just go for it. Press play and the brain makes decisions before you even know it. Scribbles come from, and communicate with, a very primal, reptilian level in us, and also probably resonate with a mystical level. 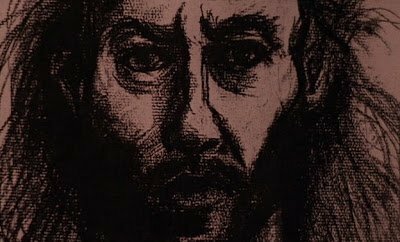 When we draw we are immediately ushered into a creative nondual flow state (Csíkszentmihályi’s term), where the drawer, the pencil, and the drawing become “one taste.” In that moving river of creative expression, one can hear the faint screams of people suffering in the distance. 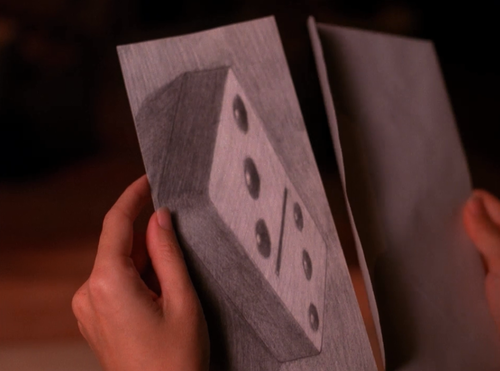 Dougie’s drawing in Twin Peaks may be used as a metaphor for the mysteries of the show itself. What appears naive is actually fully matured—neotenous, like a drawing by Picasso, or like an aged Chihuahua who looks like a wolf fetus. 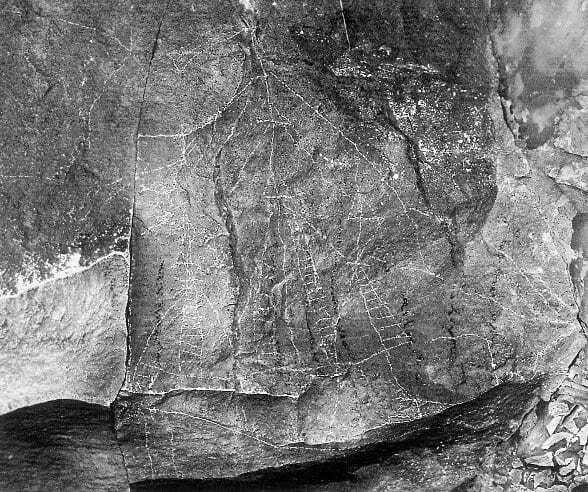 What seems at first like primitive scratches are in fact pathways to truth, to star charts, to history, and in this case, to uncovering a grand conspiracy. Ladder, stairs, a slide or portal, and a crash. 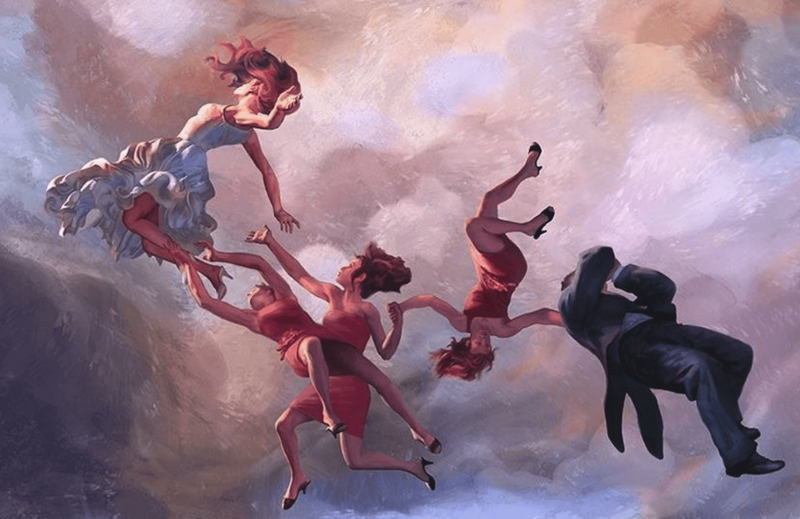 Interestingly, the crash was drawn first. We mark the end-point and then move towards it. 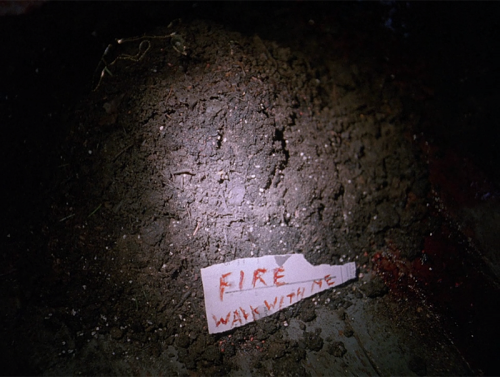 Likewise, Lynch reportedly filmed the final scene of The Return first. “You have to wake up. Wake up. Don’t die. Don’t die. 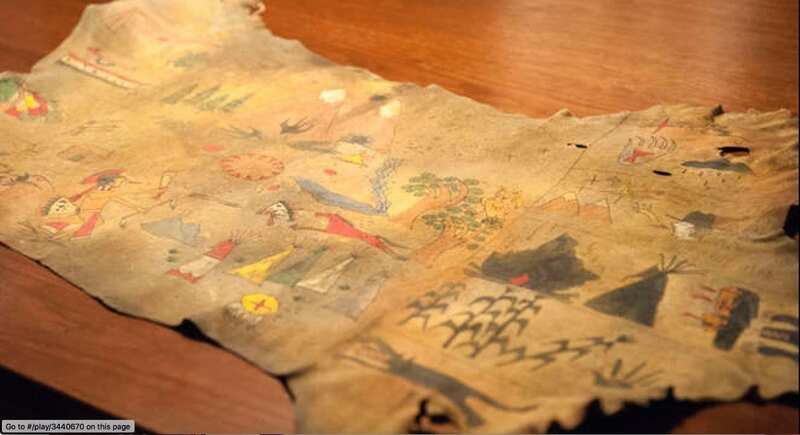 Don’t die.” Dougie hears this before a tiny light from another world guides his hand through the drawing—overwriting the official insurance documents like Plains Indian ledger art. And look at how he holds his pencil. This drawing took effort! We see the self-imposed resistance straps of a Matthew Barney Drawing Restraint. We imagine music from Kubrick’s 2001: A Space Odyssey. This drawing truly was a physical accomplishment. 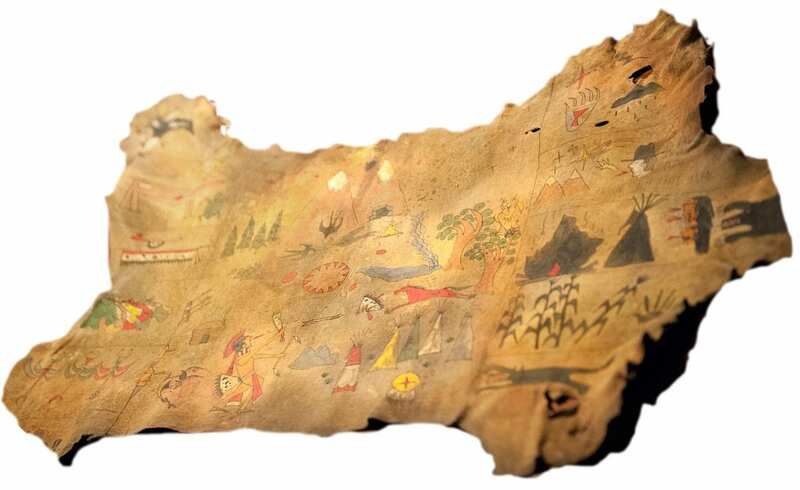 Top: Drawing by unknown Arapaho ledger artist. Center: Dougie’s drawing is decoded by Bushnell. 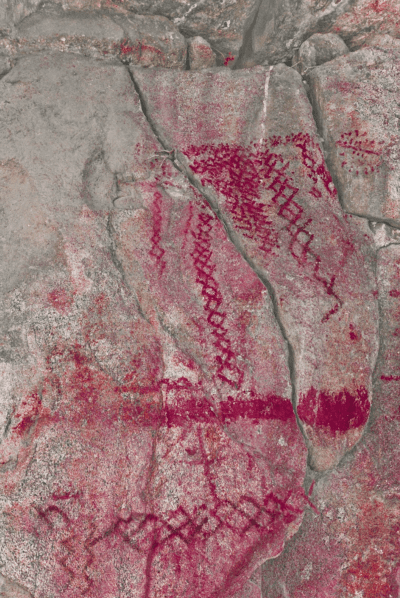 Bottom: Luiseño or Kumeyaay red ochre puberty drawings on a cliff face near San Diego, California. There are myriad reasons people take lines for a walk. Throughout human history we see drawing as marking, identifying, tagging, tattooing, mapping; drawing as calling, praying, exploring, seeing better; drawing as destruction, as crossing out, as propaganda, signage; mnemonic device, literature, treaties; drawing as sigil magic (drawing magic may have defeated the Nazis), drawing as medicine, myth-maker, prophesy, trap, exorcism, automatism—surrealist automatic drawing. We see Reiki healing symbols drawn in the air above a patient, and Navajo healing symbols drawn on the ground below them. We also find drawings as a mere physical feat, such as the cliff-face puberty drawings of Luiseño women in southern California. 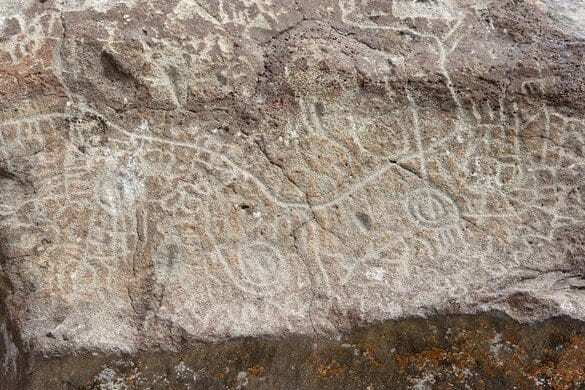 We might ask, are these drawings of rattlesnakes, phalluses, ladders, moons, the Milky Way, or are they symbols for electricity? But when we worry about “iconographic meaning,” we miss the primary meaning, the bodily “kinesthetic meaning,” as Christopher Tilley puts it. 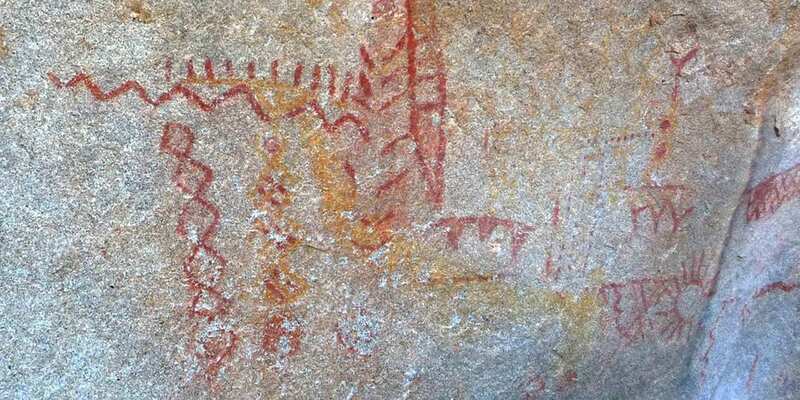 We miss the fact that the indigenous artist had to fast for three days, travel to the site, make the paint, mark their own exhausted bodies, then climb the boulder’s dangerous face with the paint. Who cares what they drew! The drawing is proof that such a transformational journey took place. Drawing is thinking, is a form of thinking, and it’s a practice of giving up and letting go. It’s a collaboration. 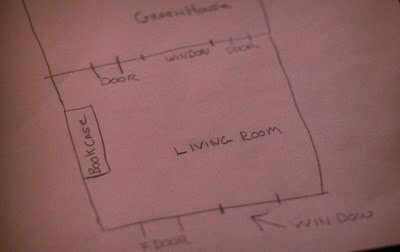 Dougie accomplishes this drawing with the help of Mike and the information on the insurance forms. Honda Ridge, Chumash puberty site near Santa Barbara. 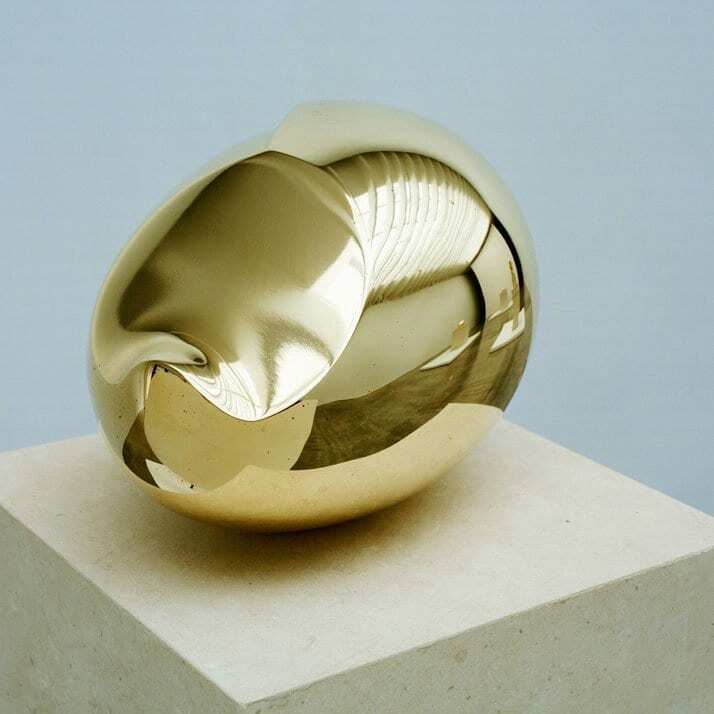 See David Robinson’s The mirror of the sun. Surface, mineral applications and interface in California rock art. Top: Wo Haw, 1877, Between Two Worlds, self-portrait in graphite and crayon on paper. 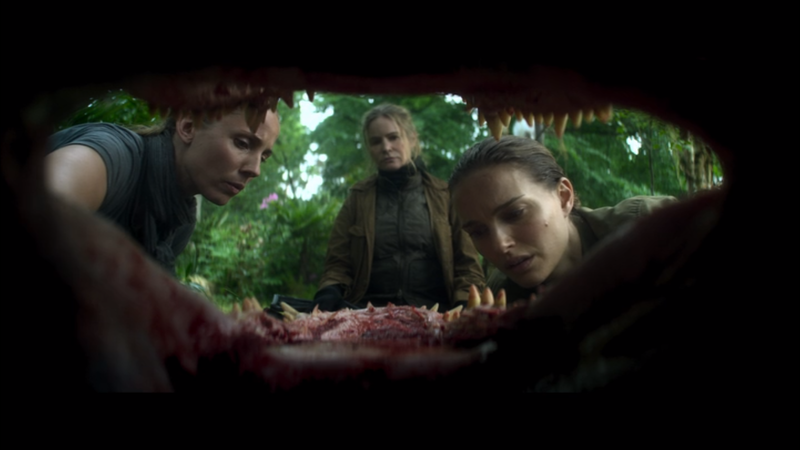 Both animals are breathing visions into Wo Haw’s face, suggesting that dream imagery may come from the more-than-human environment, from places beyond the dreamer’s control. Bottom: Major Briggs draws a similar composition for Bobby. Drawings often tie cultures together. 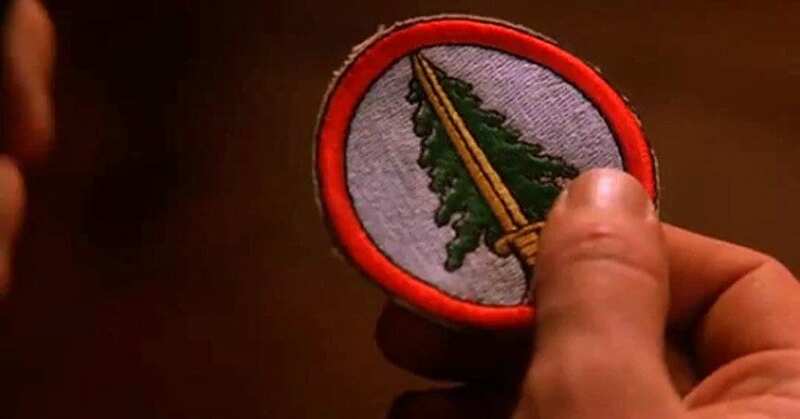 Hawk’s living map and Major Briggs’s tiny landscape are used as a way to connect Twin Peaks to indigenous sources. These “hybrid objects” facilitate Frost and Lynch’s need to play Indian, which is a powerful U.S. pastime. Philip Deloria (1998) explores how and why the settler wants to be made indigenous, even if only through disguise. Beginning most famously with the Boston Tea Party, Americans play Indian and celebrate Native cultures because they so badly want to feel a natural affinity with the continent, to feel like they belong here. It also helps us feel better. Directly and indirectly benefitting from the erasure and assimilation of Indigenous peoples is a difficult reality for settlers to accept. The misery of guilt makes us hurry toward any reprieve. We see forms of Indian play in Boy Scouts, The Mankind Project, Cherokee Syndrome; we see non-natives wear beads and feathers and name their streets, towns, cities, states, cars, helicopters, sports teams, schools, and film festivals after the cultures they destroyed. Ben Horn’s son Johnny literally plays Indian Chief while he bangs his head again and again against a doll house. 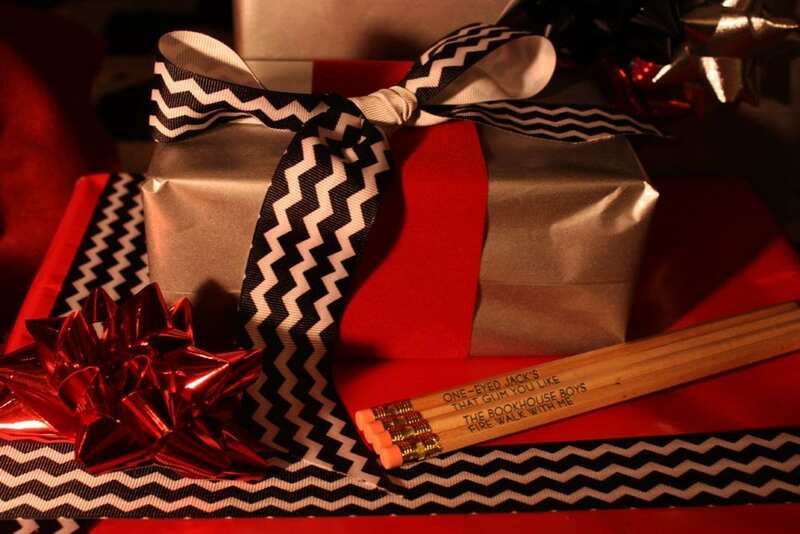 Twin Peaks is deeply American, playing Indian American, so of course it is tied to Native art and Native literature. Indigenous Studies professor Alicia Cox summarizes it well: “To make America/Americans white, American nationalist artists retold other people’s stories, but made themselves the stars… It’s a form of appropriation utilized to justify or naturalize European presence and dominance here.” (See Joshua David Bellin’s Demon of the Continent: Indians and the Shaping of America Literature, or Toni Morrison’s look at African-American influences in Playing In The Dark). The experience of making a drawing is very different from the experience of seeing one. Take paper and pen, make them touch, and see creation happen right before your eyes! Meet chaos, and take it for a walk. Drawings can change direction at the speed of thought. There is a trace of you, a fingerprint, that pours out of your pen and onto the page. Even if you are not drawing what you are seeing, the line is a record of where your mind has been. Drawing walk with me. As Berger says, drawing is not important because it records what you have seen, but because of what it will lead you to see. Drawing is revelatory, like traveling, but it’s also like dancing. Alanna Thain, from Senses of Cinema, inspires me. She traces outbursts of dancing in Twin Peaks in order to “think otherwise” about the show’s narrative sense-making. Dancing produces a temporal stretching—which Thain marks “heterochronicity,” that exposes other modes of knowing and perceiving. Heterochronicity may relate to Vezenor’s transmotion. 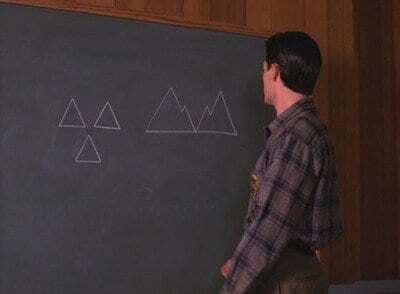 “[D]ance in Twin Peaks gives us a pedagogy of perception that is distinct from the show’s procedural problem solving; that is to say, they suspend narrative unfolding to ask us to notice what else is happening, to teach us to see otherwise.” I think drawing in Twin Peaks functions in a similar way. To teach us to see otherwise. 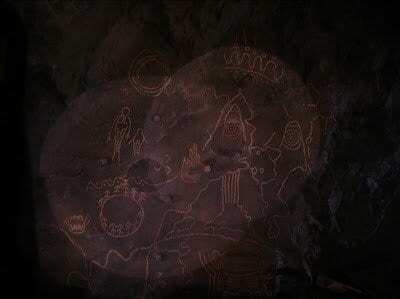 Here is an essay looking at the “Native American Drawing” at Owl Cave through the lens of Alchemy. 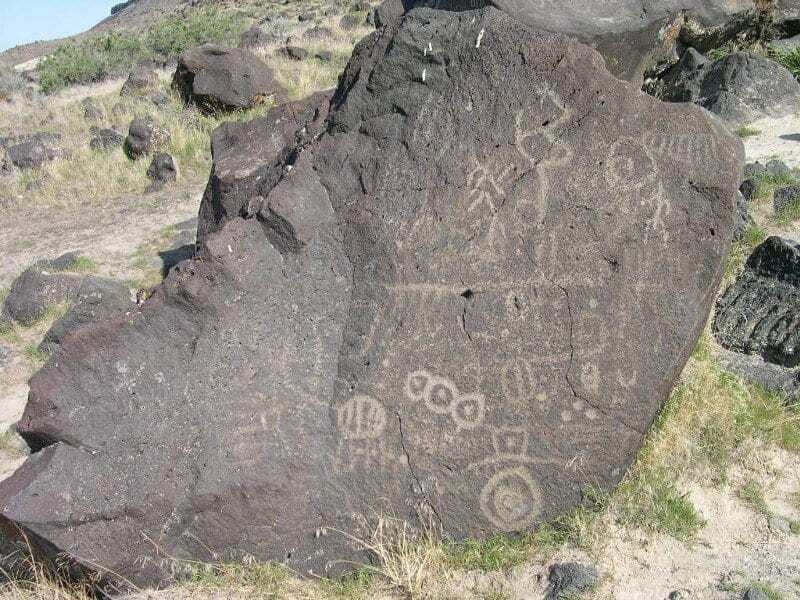 Images from Map Rock, Idaho (Shoshone, 500–1000 years old). 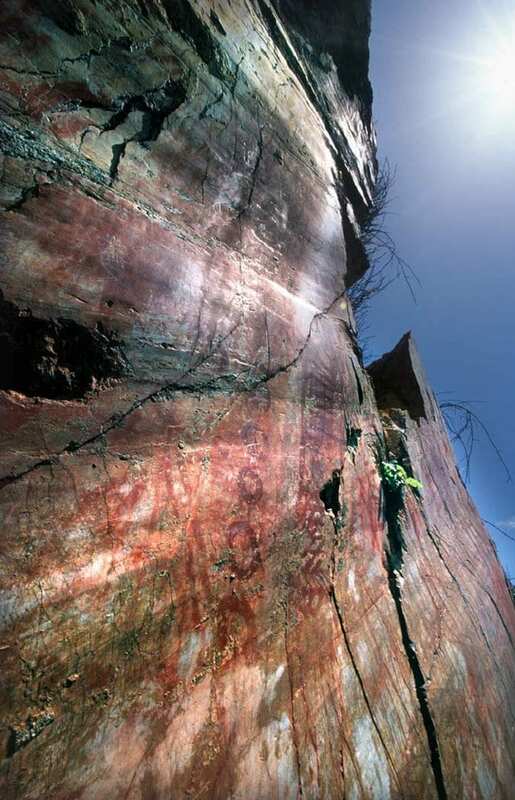 Maps are actually quite rare in Native American rock art. 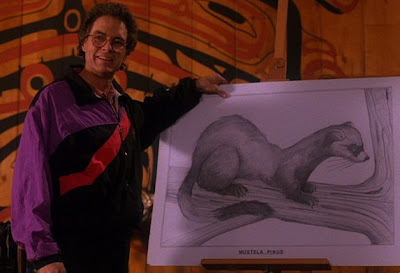 We know of other famous drawings and paintings from art history that inspire scenes in Twin Peaks. 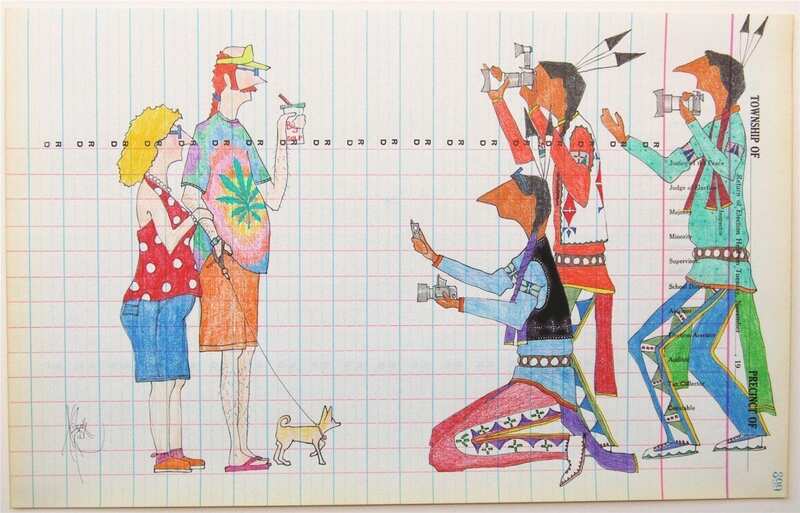 Hawk’s “living map” drawn by the actor, Michael Horse, who is famous for his contemporary Plains Indian Ledger drawings, and for playing Tonto in The Legend of the Lone Ranger (1981). 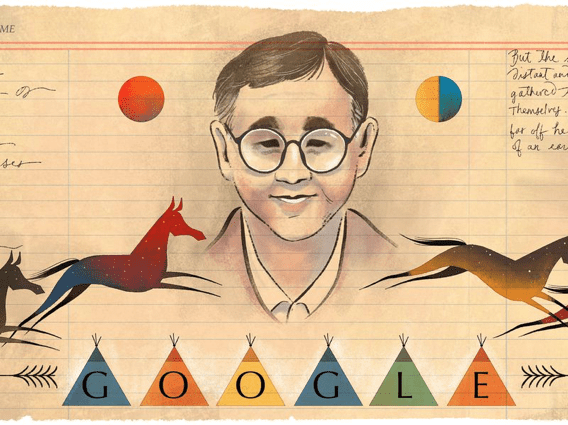 2017 Google makes simulated ledger art to celebrate world-renowned Native author James Welch (Blackfoot), a founding member of Native Renaissance, famous for Winter in the Blood (1974) and Fool’s Crow (1986). Chimp repeatedly throwing a rock at a tree. Pufferfish drawing a sand mandala. Kubrick’s primate beginning to see otherwise. 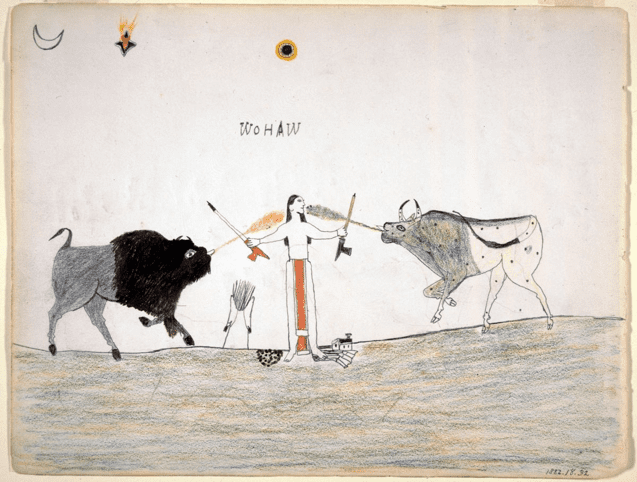 Plains Indian Ledgers; Janet Berlo, Spirit Horses and Thunder Beings: Plains Indian Dream Drawings; Denise Low: Composite Indigenous Genres: Cheyenne Ledger Art as Literature; Scott D. Sagan. The Face of Battle without the Rules of War: Lessons from Red Horse and the Battle of the Little Bighorn.